American psychologist who maintained that psychology is essentially the science of stimuli and responses. Learned responses can be acquired by means of conditioning. He denied the existence of any human instincts, inherited capacities or talents, and temperaments. 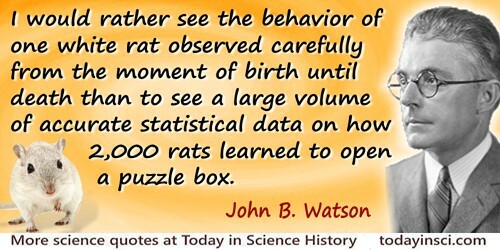 He published Behaviorism, a book designed for the average reader, in 1925. 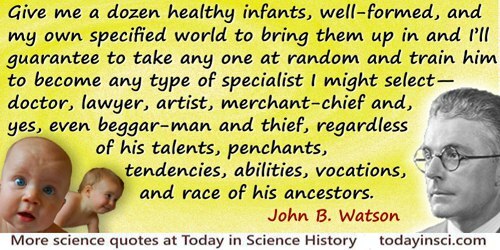 9 Jan - short biography, births, deaths and events on date of Watson's birth. 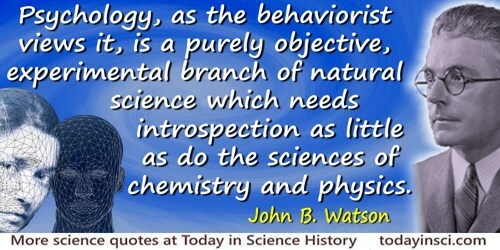 Behaviorism, by John B Watson. - book suggestion.